Summary: Here is the collection of the most popular Hollywood movies in 2017. For converting or ripping top Hollywood DVD/Blu-ray movies to Samsung, LG and more portable devices, you can use DVDFab DVD/Blu-ray Ripper. Are you looking for the Hollywood blockbusters of 2017? What great Hollywood action movie, drama movies are released yet? Which Hollywood movie is the most popular one? Here we have collected top 10 popular Hollywood movies of 2017, with the movie information like director, release date, genre and plot listed. The following are top 10 Hollywood Movies of 2017 (ranked by the ratings in IMDb). Dunkirk is a Hollywood war movie written, co-produced and directed by Christopher Nolan that describes the Dunkirk evacuation in the Second World War. The rating in IMDb arrives at 8.4. Some people even regard it as another masterpiece of Christopher Nolan. To highlight the cruelty of war, the film team shot the film on IMAX 65 mm and 65 mm large format film stock. Dunkirk tells the story that 400 thousands of Allied soldiers are surrounded by German Army in Dunkirk, and they evacuated during a fierce battle. Logan, the Hollywood film based on Marvel Comics, is the tenth installment in the X-Men film series, also the third Wolverine solo film that follows X-Men Origins: Wolverine (2009) and The Wolverine (2013). In 2029, there are no new-born mutants in 25 years. Logan is old and weary, and he spends his days in drinking, working as a limo driver and caring for ailing Professor X on the Mexican border. He attempts to hide from the world, but his life is upended by Laura Kinney, a young mutant pursued by dark forces. Wind River is a murder mystery thriller film written and directed by Taylor Sheridan. Jeremy Renner and Elizabeth Olsen act as the tracker of U.S. Fish and Wildlife Service and an FBI special agent respectively. In the Hollywood movie, they work together to investigate a murder on the Wind River Indian Reservation in Wyoming. Along with the development of plot, the investigation also becomes the process of the veteran tracker’s redemption for an earlier act of irresponsibility which ended in tragedy. Baby Driver is a Hollywood action crime musical comedy movie written and directed by Edgar Wright. Baby is a young getaway drive and music lover who is coerced into working for a kingpin. He has tinnitus, which he blocks out by listening to music on various iPods. Later baby falls in love with a waitress named Debora, and he begins to find ways to quit his work. If you love watching movie which contains beautiful music, you can never miss this movie. There are about 35 pieces of songs in the movie. It is a supernatural horror movie directed by Andy Muschietti, which is based on the 1986 novel of the same name by Stephen King. The movie stars Jaeden Lieberher and Bill Skarsgård as Bill Denbrough and Pennywise the Dancing Clown, respectively, and with other movie stars join in. The Hollywood movie portraits that a group of kids who live in Losers Club encounter a shapeshifting demon in the appearance of a clown and are bullied by the demon Pennywise. Spider-Man: Homecoming is another Hollywood superhero film based on the Marvel Comic. The movie is released in 3D, IMAX and IMAX 3D, which can give you shocking viewing experience. With over $861 million grossing and many positive reviews, it becomes the second most successful Spider-Man film. In the movie, Peter Parker tries to balance high school life with his superhero alter-ego Spider-Man under the help of Tony Stark, and has to confront evil Vulture in the New York City. Guardians of the Galaxy Vol. 2 is the sequel of Guardians of the Galaxy (2014) as well as another superhero film based on the Marvel Comic. Directed by James Gunn and with the ensemble cast as Chris Pratt, Zoe Saldana, Dave Bautista, and more movie stars, the movie has grossed $863 million worldwide and received generally positive reviews. The movie tells that the Guardians must fight together to protect their newfound family and need to unravel the mystery of Peter Quill’s true parentage. War for the Planet of the Apes, the third installment in the Planet of the Apes reboot series, is the sequel to Rise of the Planer of the Apes (2011) and Dawn of the Planet of the Apes (2014). In the movie, there is a confrontation between apes and the humans for control of Earth. After suffering unimaginable losses, the darker instincts of Caesar rise and he begins to implement his plan of avenging his kind. If you want to find a Holiday drama film to spare your time, you can choose The Big Sick. It is a romantic comedy-drama film directed by Michael Showalter. The film is based on the true love story of Nanjiani and Gardner. Kumail Nanjiani is a Pakistan-born comedian, and he falls in love with grad student Gardner but has to deal with the culture differences between them. Emily contracts a mysterious illness, and then Kumail must confront the situation with Emily’s parents. Kumail is forced to make a choice between his family and the American lifestyle he pursues. Get Out is a horror movie written, co-produced and directed by Jordan Peele. It stars Daniel Kaluuya, Allison Williams, and Catherine Keener. The movie is commented as a satire on those people who regard themselves as the allies to movements against racism but always do more harm than good. This Hollywood movie tells that a young African American goes to meet with his white girlfriend’s parents in their secluded estate in the woods but finally finds that he is implicated in a conspiracy. How to Rip Hollywood DVDs/Blu-rays to Your Portable Devices? You may have collected stacks of Hollywood DVDs/Blu-rays movies, but how can you watch these movies if you do not have a DVD/Blu-ray player at hand? How can you watch them on your iPhone 6/7/8/X or Android devices like Samsung, LG, Google?Use DVDFab DVD Ripper or Blu-ray Ripper! 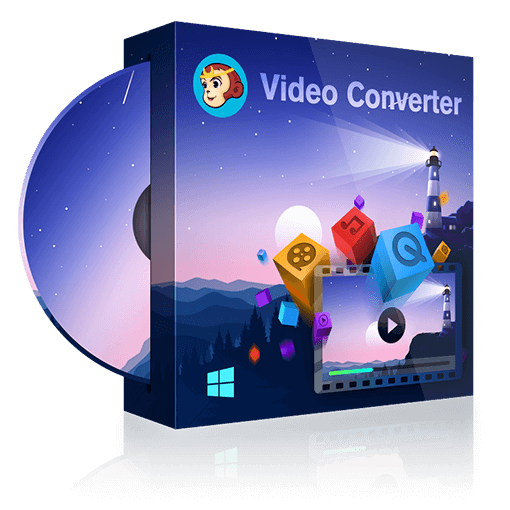 DVDFab DVD/Blu-ray Ripper is an excellent ripper tool that can rip and convert any Hollywood DVD/Blu-ray movie to various video/audio formats at fast speed. It also contains many preprogrammed profiles for portable devices, which allows you to convert Hollywood movies to devices like iPhone 6/7/8/X, iPad, Samsung, LG, Google and more directly. 3. Click the “Start” button to begin the ripping process. For more detailed steps, please go to Blu-ray Video Converter to have a look. What are the best Adobe Premiere alternatives? Here are top 10 best video editors with some advanced features that can replace Adobe Premiere from some ways. Here are some of the best Mexican Christmas songs that are perfect for your Christmas holiday playlist. And you can also download them from YouTube with the YouTube to MP3 tool we recommend. DVDFab Remote is a great companion app of DVDFab 11 that let users monitor the real-time task progress on iphone and android and help you transfer your videos in your phone to your computer.